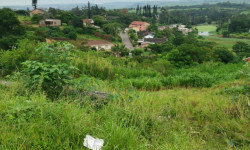 Ballito is the heart of the North Coast within KwaDukuza and lies between KwaZulu Natals well known sugar cane. and the warm indian ocean . In recent years, there has been a population boom in Ballito. The town's origins date back to 1953, when a group of entrepreneurs began investigating land to develop a township in the Compensation Beach area. Proclaimed a township in 1954, Ballito, whose name was gleaned from a magazine advertisement meaning "Little Ball" , became a town board in 1966. Willards Beach is the main beach and a very popular surfing area . For the serious North Coast surfer, the Mr Price Pro surfing competition, held every June in Ballito on the KwaZulu Natal North Coast, is one of the worlds longest running international surfing competitions. . Scenic and beautiful tidal pools are also found along shores . Within Ballito lies two popular estates being Simbithi Estate and Zimbali , both of these offering 18hole golf courses as well as Umhlali Golf Course and the well known Princess Grant only a stone throw away . The popular Litchi Orchard market hosts monthly markets , get together with friends and family and enjoy some good food , wine and music . Only 20km from King Shaka international airport , 30min drive from Gateway shopping centre and 20min drive from the popular Sibiya casino.